I hate it when I actually have a decent chunk of time to spend in the Craft Cave and the mojo goes into hiding. It's so frustrating! I was trying to play around with watercolors and didn't make much more than a mess in the end. I really don't feel like I'm improving with practice when it comes to that medium. :( I finally gave up on the painting and decided to move onto something more simple. 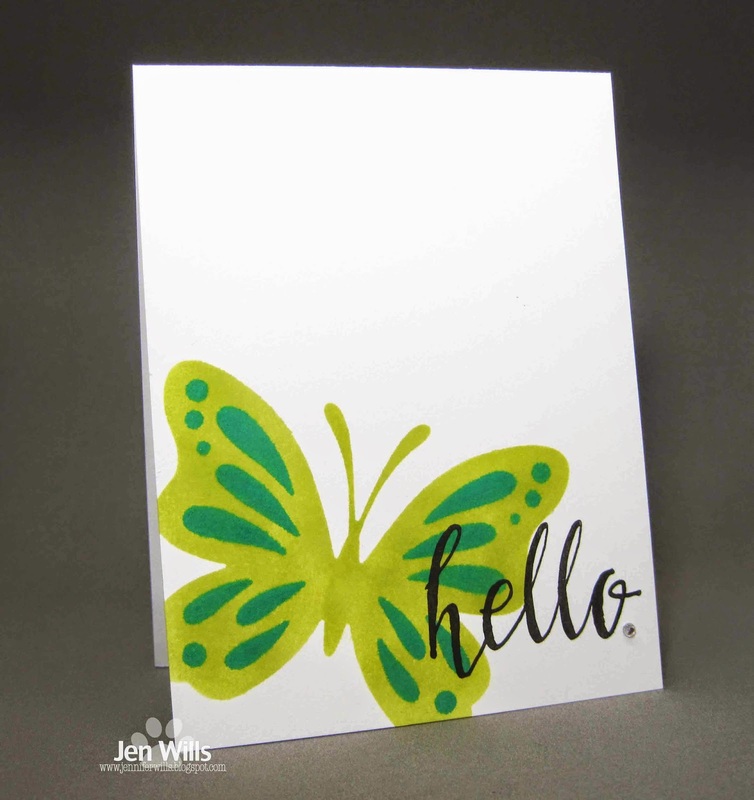 I used the negative of a PTI butterfly die as a mask along with some Distress Inks to create this one layer card for the current CAS(E) This Sketch and Addicted to CAS challenges. I am so grateful that those inks cooperated so it didn't feel like the day was a total loss! I'm no good at water coloring either! Love, love, love this...the vibrant colors are fabulous Jen. Yes I know what you're talking about... the mojo thing! 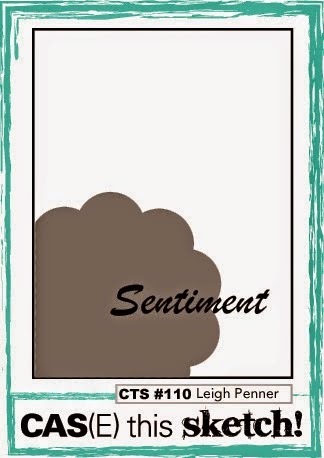 In spite of mojo hiding... you created a really beautiful card for our sketch this week! This is absolutely stunning! What a clever way to use the die! Fresh and clean Jen, pretty card! I'm sorry you're so frustrated with watercoloring, Jen, but this card turned out to be fantastic. This is such a pretty butterfly, Jen! I love these colors! Keep trying with the watercoloring. It'll come to you. Thanks for sharing with us at ATCAS! Funny how often time and mojo seem to be inversely proportioned. 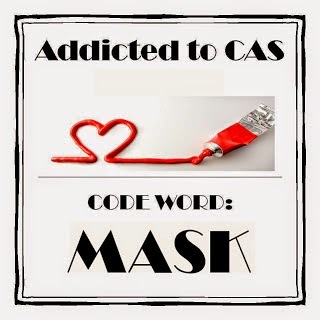 :( But you ended up with this CAS beauty, so it's all good! This is such a beautiful card! Love the colors. I struggle with watercolors too, I keep practicing but it usually end up in the bin. :-) Thanks for sharing over at AtCAS! Wonderful OLC, Jen! Love the vibrant colors on your butterfly!